This plug has a software watchdog in it and will reboot every few hours now that the iris server are down. There is nothing that can be done to turn off the watchdog just remove this plug. I think that's a V2 wifi plug (no hub required). I had two of those for remotely powercycling the Iris hubs. They make nice paperweights now. The V1 plugs also paperweights - no response to the local button. The v1 Zigbee plugs supposedly work on Hubitat. I don't have a v1 plug so I haven't tried it. I have a couple of the Jasco Wi-fi outdoor plugs. They worked great with Iris. You had to connect to them with the Iris app on your phone using BT then they were set to connect to your home Wi-Fi by the app. Now that Iris is gone I can't get them to do anything. I have a couple of the Jasco Wi-fi outdoor plugs﻿. They worked great with Iris. V1's work on hubitat, I can confirm. I am using 2. Thanks, this is the Wi-fi plug in switch I'm trying to use. I think these may be orphaned now that Iris is dead. Wasn't that obvious on 4/1 when they all went dead? The warning is because the plug can exhibit undesired behavior during reboot that may affect anything plugged into it. Do you know if the GL08_2 Wi-Fi plug in switch has the same problem/behavior ? Do you know if the GL08_2 Wi-Fi﻿ plug in switch ahs the same problem/behavior ? I don't think so but maybe. Because there is no app to connect to them and sync up with the hub. switch is passed the information for you homes' Wi-Fi (SSID & PASS) so it can connect. From there the hub connects to the switch and BT is out of the picture. At least that is how I understood it to work. If I'm wrong please explain how they did operate. In pairing mode the plug acts as a WiFi access point -- the master of a WiFi network (For example one of my plugs: Iris Smart Plug 61EA). 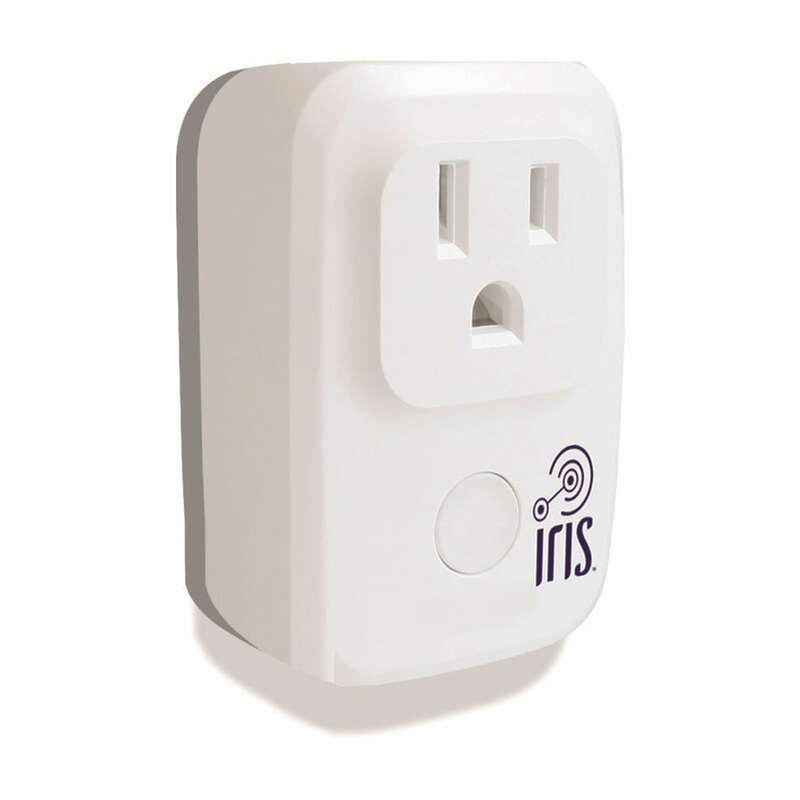 Your phone, via the Iris app disconnects from your home Wifi network, and connects to the plug's network. The Iris app then asks you for your WiFi SSID and password that it then sends to the plug (I can see this much in the arcus SW). It must also send some sort of credentials for access to your Iris account. Once the plug has the network credentials, it shuts off it's own network, and connects to your home Wifi network -- giving it access to the internet. It can then contact the Iris cloud platform to register as a device as part of your home Iris system. At the same time your Iris phone app connects back to your home WiFi. According to the arcus IPCD spec, the plug either opens up a web socket or an outgoing HTTP connection to the cloud platform. From then on, communications are handled similarly to the way the hub and platform communicate. The GL08_2 uses Bluetooth, this is off the Lowes Iris website. My bad.... I have the indoor plugs -- as pictured in theGillion's original post in this topic. Who knew they would be implemented completely differently!?!?! I know, strange right, but probably because they were sourced from different suppliers. problem as the indoor switch, but since they get paired in a different manner maybe not.